A large trough over W Europe is advancing towards SE through Thursday with a surface front pushed towards CNTRL Europe. A high pressure system remains over NE Europe while a short-wave through over SE Europe is weakening and moving further NE towards Georgia through the day. An ENH RISK has been issued for S Turkey, extreme SE Mediteerranean, Cyprus and N Middle East with threat for severe winds, torrential rainfall and marginally large hail. Widespread forcing should continue from the ongoing overnight / morning storms as main trough and front will be pushed across Turkey towards ENE. Despite marginal instability, strong shear and helicity are favorable for supercell thunderstorms with mainly heavy rainfall, large hail and wind threat. Some tornado threat exists as well, especially near the coastal areas of S Turkey where low-level shear seems supportive of tornadogenesis. 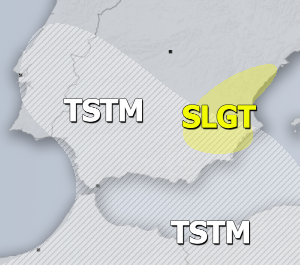 A SLGT RISK has been issued surrounding the ENH RISK are across SE Mediterranean, parts of Middle East and across E Turkey towards Georgia, threat for some isolated severe storms exists. 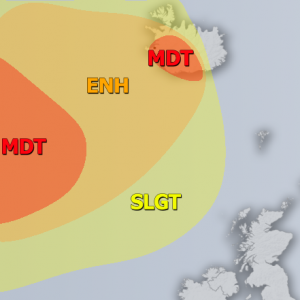 Mainly supporting marginal hail, severe winds and heavy rainfall. 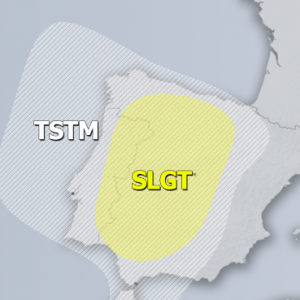 A SLGT RISK has been issued for extreme N Spain, SE Bay of Biscay and SW France with threat for heavy rainfall, severe winds and marginal hail along the unstable airmass coming from the west. 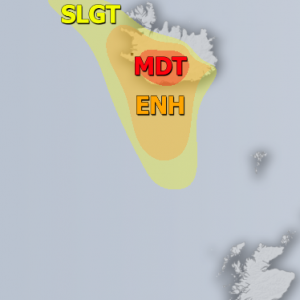 A TSTM RISK extended across parts of E Atlantic and S UK and S Ireland due to unstable very cold maritime airmass in the wake of the trough core. 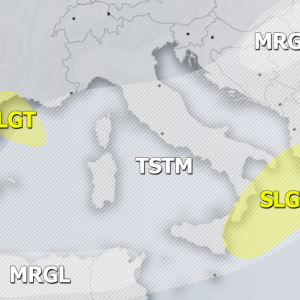 «Next Post Saharan dust comes into parts of southern, eastern and southeastern Europe towards the end of the week!